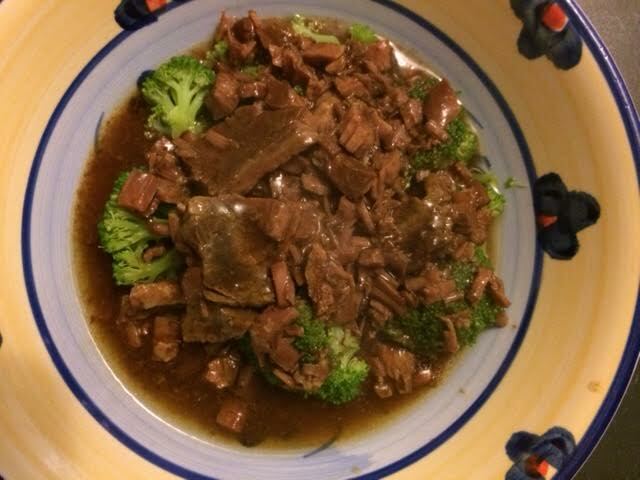 Slow Cooker Beef and Broccoli | Om nom nom! Add steak, beef broth, soy sauce, sugar, sesame oil, garlic, and chili flakes to slow cooker. Cook on high for 3 hours or low for 6-7 hours. About 20 minutes from serving, whisk corn starch and water together until dissolved, and stir into slow cooker. Cook another 15-20 minutes to thicken. Steam or boil broccoli until just done, then add to slow cooker, stir, and serve over rice, noodles, or on its own.